Despite the rhetoric, there is no “Juul epidemic” among high school students. JUUL Labs announced the move Thursday. According to a press release, the small pod vape with the huge nicotine punch will be sold in vape shops and on the company’s Canadian e-commerce site Juul.ca, but also in convenience stores. C-store e-cigarette sales are a new phenomenon in Canada, since nicotine-containing vapes have been technically illegal until recently. Parliament passed a law to regulate and allow sales of vapes earlier this year. The tobacco industry is entering the new market too, and many observers are curious to see if JUUL overwhelms the Big Tobacco competition as they have for the last year in the U.S.
Das britische Royal College of General Practitioners hat ein Infovideo zur E-Dampfe für Mitarbeiter im Gesundheitswesen erstellt. New research estimates that 4.5 percent of adults in the U.S. currently use e-cigarettes. That equates to more than 10.8 million e-cigarette users, most of them — 51.2 percent — under the age of 35 and about 60 percent are men. Those data come from an analysis of national self-reported health behaviors. 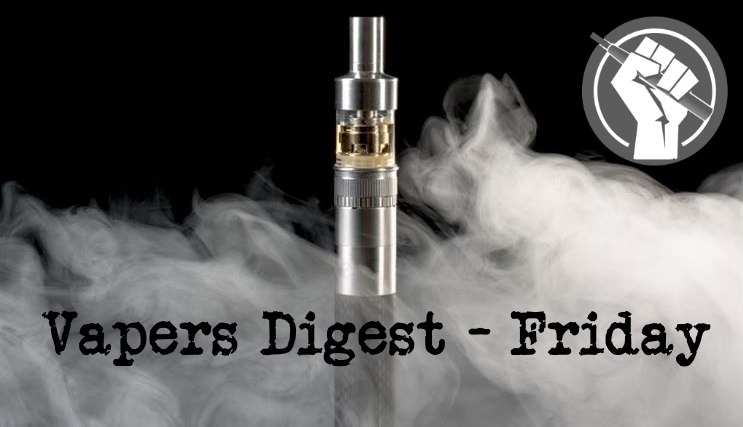 Additionally, e-cigarette use was higher among people who were lesbian, gay, bisexual or transgender, as well as in the unemployed and those with cardiovascular disease, asthma and cancer. It was even higher in those with chronic obstructive pulmonary disease and depression. Should vapers be charged the same? As a result of a concerted effort by the UK government, as well as advances within the technology sector and changing social trends, e-cigarette use (or vaping) is becoming increasingly common among UK smokers, with the Office of National Statistics (ONS) estimating that almost 6% of the UK population were using e-cigarettes in 2017. With this figure expected to grow over the coming years, underwriters will increasingly have to adapt to changing smoking behaviours, as well as increasing demand from consumers for more nuanced cover to better reflect their lifestyle choices. on smoking and why aren’t the declining numbers of smokers being celebrated? A government committee has recommended easing regulation on e-cigarettes to better harness them as a means of stopping smoking. Backed up in part by evidence from psychologists, the Science and Technology Committee’s report has been released against a background of confusion about the risks the devices pose, whether they may lead children and young people to take up smoking, and whether they could be dangerous to bystanders. A senior mental health nurse is backing a call to lift bans on e-cigarettes in mental health units. The RCN’s mental health forum chair was speaking after MPs urged mental health trusts in England to allow service users to vape on their premises. A House of Commons science and technology committee report said it is unacceptable that one third of mental health trusts still ban vaping on their premises. An organisation representing e-cigarette users in India today questioned the Union Health Ministry’s advisory to states to not allow manufacture, sale and advertisement of e-cigarettes and other Electronic Nicotine Delivery Systems (ENDS), saying smoking rates among youth are declining in countries that have allowed vaping. Association of Vapers India (AVI) asked why the government is not banning tobacco cigarettes if it is so concerned about nicotine. Andrew Forrest’s Minderoo Foundation is campaigning to reduce youth smoking rates and is to be commended for that. However, in an interview with Alan Jones on 2GB yesterday 30 August 2018, it became clear that Mr Forrest has been misinformed on a number of issues. ATHRA welcomes the opportunity to discuss these issues with him personally. Mr Forrest has publicly asked to see the science. E-cig store owners in Milwaukee are calling the city’s ban on vaping a double standard. They believe it isn’t fair considering people are allowed to smoke tobacco at hookah and cigar bars. The alderman who sponsored the e-cig ban said he had plans to also go after hookah bars like as well. He found out the city can’t regulate tobacco like e-cigarettes. In June, members of the group Students Working Against Tobacco (SWAT), brought up the accessibility of tobacco products, specifically e-cigarettes. “They can’t just be accessible, they can’t be. They call it self-serve, you can’t just walk up and pick something up and check it out,” said Mayor Henderson. Tuesday, Callaway commissioners amended the city’s tobacco placement law. This week sees India attacking heat-not-burn (HNB). Israel places a ban on JUUL; the ban will be contested in court. Hysterical nonsense emanates from anti-vape Doctors Leventhal and Barrington-Trimis. The USA implements tariffs on Chinese vape products but ecig are going to be given to Scottish prisoners. As I have written a couple of times recently, the FDA’s announcement that they are viewing very low nicotine cigarettes (VLNCs) as a possible policy tool is extremely sinister. When Dr. Gottleib, head of the Food and Drug Administration (FDA) made the announcement to reduce nicotine and keep tobacco burning, health criminal organizations immediately applauded the plan to continue tobacco use. Speculation over future profits is keeping some barely contained in their excitement. A quick glance at the PubMed abstract piqued my (slightly addled) science brain. I’ve written about the very low nicotine cigarette debacle before, and that (at the time) Ms Cramer of RSPH had given a talk at the E-Cigarette Summit (2015) on the idea of “de-nicotinised” e-cigs and how, by some miracle, that led to fewer cigarettes being smoked but more vaping (the ol’ self-titration theory being proven once again).